Jan 04, 2016 50 Floor would like to thank you for contracting us to complete the laminate installation throughout your home as well as for the review. We offer numerous products from several creditable companies for our many contracted installations. It is deeply regretful you have experienced any issue with the product you have selected for installation. Moving forward I would like to be of assistance to rectify your concerns. I would like to review the installer’s diagnosis of the cause and how to correct the issue you have outlined. I would require additional information from you to identify the specifics of your install. As time permits I request you contact us so we may investigate in order to assist you. I look forward to speaking with you. Floor was installed less than a year ago. We paid about $10,000 for laminate flooring throughout the house. Buckling in the middle of the livingroom. NEVER USE THIS COMPANY! I only wish I had read the reviews before using them. The guys that came out pointed out MANY areas of buckling that I didn't notice myself. 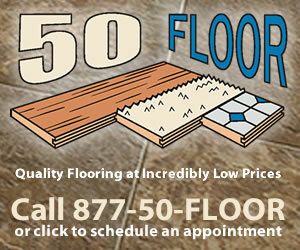 My daughter is looking at flooring...thank goodness I can recommend someone else. Also, my rental looks better than my primary, thank goodness I didn't use 50 floor for that property. I suspect it is subpar material that is creating the issue that I'm having. Review #613430 is a subjective opinion of User613430.